As you can see, Ryo Central is back. So are other sites. 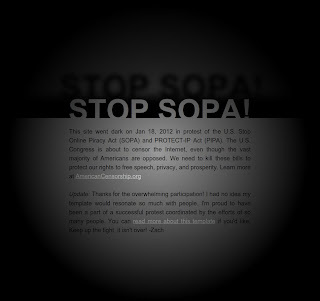 The English Wikipedia, had a blackout page, and many other sites protested in one way or another against SOPA and PIPA. Wired.com had their headlines censored with black bars. Google had their logo blacked out. Other sites integrated a HTML5 animated black screen with a note. All around the Internet, you could find these signs of protest. And that brought it to the mainstream media once again. Around the world, media reported about SOPA and the strike against it. That will help to stop censoring the Internet in other countries, too. Was the strike a success? We will see. It's not over now. While most supporters reverted their engagement, it was because of the pressure. Apple, Microsoft, GoDaddy... they all did stop their support because of the public pressure. But did they changed their minds? 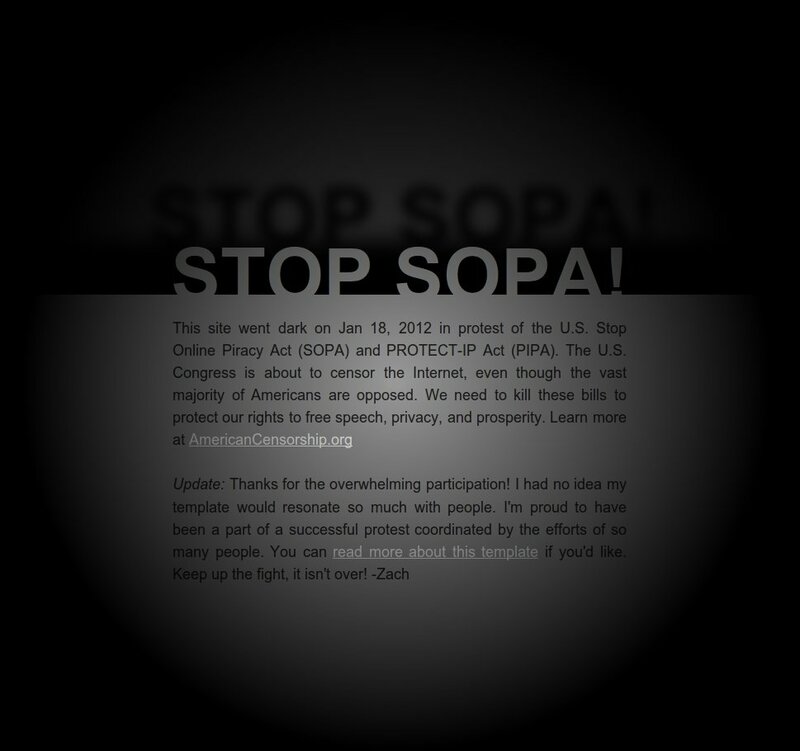 What does it say if you supported something like SOPA or PIPA first, and promote that it's a good thing? I think it tells a story. SOPA might be renamed, a little changed, and come back. That may not happen. So don't let your defenses down. Freedom is in danger. Every given day.